So it’s that time of year when Apple presented the new iPhone to the world with a unique keynote (others would call it a sales pitch). Aside from mentioning the new iPhone 5 now that everyone is talking about it, let’s focus more on the iOS update. Even though there are camping lines outside Mac stores in Asia and Australia to purchase the iPhone 5 , the rest of the world is updating iOS on their previous iPhone versions. There are quite a few features that have changed in iOS 6. The thing that has stirred up a few loud opinions is Apple’s move to discard Google Maps and replace them with Apple Maps. Although indeed there is a 3D mode to view these maps, there is no street view and the UI seems a bit more austere when it comes to hybrid view. Another move from Apple is to have removed the pre-installed YouTube app. Yet on the other hand, iOS6 now has a native Facebook app; among other things, this allows for you to directly share your media from your camera roll onto Facebook, as opposed to previous iOS versions in which you had to pull your media from the Facebook app. These changes have driven some to believe that there is an alliance between Facebook & Apple to try to keep Google out of the competition. Now if we all remember the part in which the late Steve Jobs vowed to crush Android because of its “stolen” technologies, well, there isn’t much room for doubt. Another very interesting improvement is that now Siri speaks other languages, including Spanish. You can also include other voice commands, like Tweeting via Siri. The App Store has a whole new UI and even has recommended apps for you to download. It no longer asks for your Apple ID password. There are plenty of other sutil changes you’ll notice as you navigate through your iPhone, iPad or iPod Touch. If there are any you like or I didn’t mention, please drop me a line and I’ll make sure to include it in this post. What is your opinion of iOS6? Would you stay with the previous version if you knew beforehand? Technology has always been there to make our lives easier. Get things done quicker, with less hassle and of course with better quality. But today, with a smartphone being a lot of people’s personal savior, apps do almost everything, everywhere. However, something that can be noticeable and trending in the last few months is self-improvement. Being apps, or gamification features in certain brands (like Nike +), their ultimate goal is to make you stick to your goals and always be looking for self-improvement. This results in a win-win situation: you get things done in a better, faster way and brands have you engaged. As mentioned before, Nike + has a very interesting gamification plan. It gets you to buy the appropriate gear to be in the game, or at least download their Nike+ app for iOS (iPod nano, touch and iPhone included). Personally, I’m hooked with this game plan. Not only do I now save Gym money, but I actually use my gear and run 15k a week. What keeps me going? The fact that I can track my progress and share my results with my friends via social networks. It’s nice to see a histogram of your performance and then compare the actual results in your every day life. Now, as far as self-improvement apps go, there are several start ups with this idea in mind. For example Lift. As described in Venture Beat, Lift is a one-year-old start up in San Francisco that is looking to make people seek self-improvement –guess post it notes on your mirror aren’t cutting it anymore–. You set up alarms and tasks so you know what you have to do, when you have to do it; and of course, it exposes you in front of your friends via social media. Avoiding the judgmental finger perhaps? Well, apparently with this and many other examples, it does help to be in the spotlight, whether you’re doing things right or wrong. Brands call it engagement, people call it motivation. Whatever the point of view is, in the end, you achieve your goals and thank a brand for it in the process. Article first published as Scribble Away on Google on Technorati. Lately, there are more practical ways for you to input information on your smaller screens, especially when it comes to Google products. Not only has for Android been recently released, but now you can scribble on your touchscreen for whatever it is you’re looking for on the Google Search Engine. Google has now enabled a small button on the bottom right corner of your touchscreen for you to scribble block letters or cursive writing. As you go on scribbling, the autocomplete feature will be changing according to what you have written; then you can select the best option or the closest one to what you wrote. TechCrunch says that “The new feature will work on iOS5+ devices, as well as Android 2.3+ phones and Android 4.0 tablets.” Be that as it may, the new handwriting feature will not replace keyboard input. It will only make it easier for you to look for something while you’re holding a cup of coffee or are busy with other activities. In order for you to use it, you first need to enable the handwriting option on your device’s Google preferences. Once you do, you’ll notice a small button on the bottom right corner, once you click on it, scribble away! Article first published as Intoducing Bottlenose on Technorati. Without a doubt, the king of search engines doesn’t need to be introduced. It has become a verb and even an adjective. Google has been top innovation for quite a while now. This said, it also bases search results on keyword relevance and geolocation, among other very important factors. However, a new search engine is starting out with a similar notion, yet it has concocted a recipe with social media and crowdsourcing as its main ingredients: Bottlenose. Unlike Google, you need to set up an account with Bottlenose so it can shape your search results based on your social media accounts (Facebook, Twitter, Linked in and others). It also provides you with a remote posting service for all of your linked accounts. As for search results, it gives you the option to save them to your dashboard so you can review them later. It also gives you a list of trending topics and trending people which with one clic you can browse everything about that subject. With all the saved results, trends and a summary of all the publications and articles you follow, you can review topics as if they were an electronic newspaper. To play the devil’s advocate, this is not 100% new. There are plenty of other services that can come up with a summary of your favorite publications, just like Rockmelt, Percolate, or Flipboard. As for search results combined with Social Media, Google had iGoogle which was recently shut down. However, this little video might walk you through this new product and if you find it convenient enough, you can always sign up, and of course, it’s for free. Article first published as After a $500,000 Price Tag, Digg is no More on Technorati. After being born in 2004 as a very promising start up, and taking over $45 million dollars in rounds of investment, Digg has finally come to a halt. It has been sold for merely $500,000 by New York startup incubator Betaworks. Betaworks reports Digg will go back to being a small start up with News.me building it back up. Mashable also reports that a series of troubles have hindered Digg as a company, going from poor traffic, changes in management and overall staff, including Kevin Rose’s departure back in 2011. Digg was a great place for link building, news sharing and community creation. However, similar companies stepped in to make room for competition like Reddit. This is also the other side of the technological story: companies might grow exponentially, but they also can plummet with the same speed. Today we have other social networks that focus more on visual aids and rich media rather than just text in order to succeed. Take Pinterest as an example: it has become the third most important social network almost overnight, all thanks to its image & video curation. Facebook has also taken upon itself to evolve into a more rich media related network by purchasing Instagram. Some others have chosen niche markets in order to survive, just like MySpace. We can only hope that Digg does come back into something stronger. Every day more and more you can notice small changes across the web. 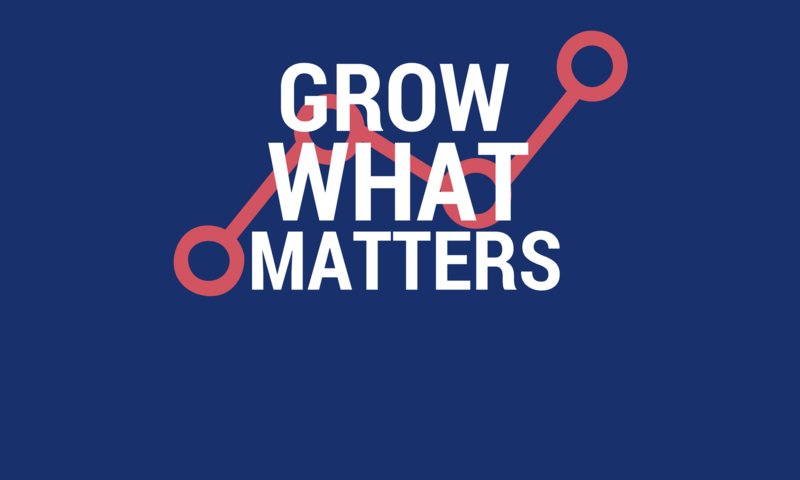 There’s no doubt exponential growth is here to stay and well… grow! It’s been a long time since Kotler’s 4 Ps are no longer the magic formula for marketers. Outbound marketing has been long dead. Instead, consumers are savvier, hungrier and much more quality demanding. The level of information consumption is beyond doubt at its highest level in history. We’re surrounded by gadgets that filter information for us according to what we want to see — hence the phrase “you see only what the mind wants to see” has more meaning than ever before–. Especially in the web, we are only pulled in to content that is image or video related. No wonder 9gag has been such a hit! In fact, attention span and the number of unique users increases dramatically when there’s rich (high quality) media involved. An infographic by MDG Advertising proves this detail by detail. Personally I observe it’s especially true with social media. Every time media is posted on Facebook or Twitter, fans come flowing in with likes, RTs and sharing. Pinterest is the live example of media curation, ordered in such a way that it has become the third largest social network, just because of rich media! Facebook noted this trend a while back, ergo coming up with the Timeline which features media in a higher quality. Furthermore, Instagram’s purchase was done in great time to further exploit and feed users’ hunger for images. What kind of marketing will be next? With so many developments, it’s hard to keep up! There are several multimillion dollar industries around the world. Some more respectable than others of course. Technology and software development is one of them (the respectable ones that is). In fact, so many people from other fields have turned to look at software development because of its massive growth. Of course every major company, whether it’s directly involved with software or not, is looking for programmers every day. You’d be amazed at the great shortage of programmers and software developers there is in this city alone. Not to mention Silicon Valley; filled with HR bilboards trying to convince Stanford students and other qualified talent to join the different companies in the Bay Area. So, what to do if there’s great demand but low offer? Instead of depending on other people to be qualified in time and on top of that, choose you as their workplace, people are starting to learn how to code on their own. Of course it can’t be done overnight, nor can the learning process be as complete and thorough as in college. It’s a matter of picking your battles. Entrepreneurs and other non-engineer people are choosing the programming language of their preference (or rather convenience) and have started teaching themselves to do it. But just how can one teach oneself how to program in a very technical language, from scratch? Take it from me, it’s no easy task. However, there are two very good ways to do it (both of which I’ve done): take a qualified online course, like the one offered by Codecademy or ask someone who is already majored in software development or programming to teach you step by step. Like anything new, you have to practice and practice for it to become an excellent skill. You could almost build your own basic version of software, or a website, or an app. However, keep in mind you will always need to have an expert by your side. It’s been said several times that Guadalajara is the Mexican Silicon Valley. During the mid 90’s this was just starting out to be a catch-phrase for foreign investment in the city. It was nicknamed so because large companies like IBM and HP had settled here instead of Mexico City. Still the phrase “Mexican Silicon Valley” was something that was out of reach for the majority of the people living in the city. It was just reserved for people working at any one of these large companies. However, thanks to technology and of course fast pace investment, this phrase is now a reality to many people, reachable for anyone with an interest in the field. It is now also called the Start Up culture. Of course, the international mecca of start ups resides and will reside for time to come in Silicon Valley itself, in California. The whole of the Bay area is to thank for this lifestyle. Yes, I call it lifestyle because not only does it affect the work place, but your whole life in a very positive way. Today, the Start up culture is on the rise in this city. So much so, that many more start ups based in California are setting up shop here. Even better, many of the start ups created here are setting shop in California! It’s a two way process. For example, OVIA [now Wowzer] was co founded by a group of former students from ITESO who started their HR company here and then established their commercial office in Mountain View, California. These developments have created a community of Start up junkies here in the city. Which is why “Start ups on the Road MX” was created. It has had more and more visitors and participants thanks overtime. This year, it was held at the Hilton Hotel. Created by a non profit community called Suma Valley, the event had several important speakers like Bismarck Lepe from Ooyala, Gris Cuevas from Linked in and Rodrigo Martínez from Wowzer itself. Interesting talks by interesting people in a very very interesting community. Good thing the Start up culture is on the rise.